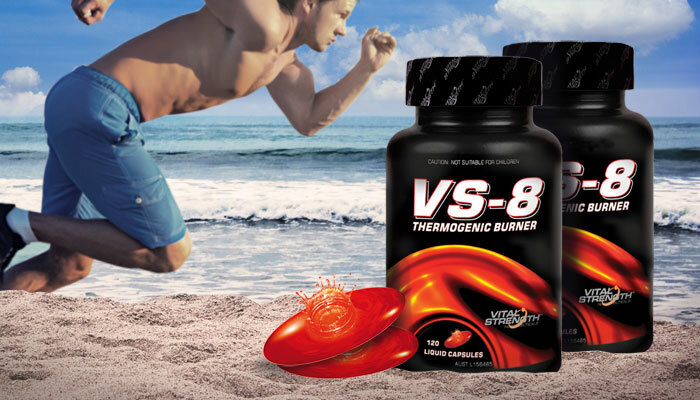 Maximise your potential and reach your goals quicker with VS-8 thermogenic burner, designed specifically for the needs of men who want to get shredded. Have you been working out consistently but still not seeing the results you want? VS-8 is a powerful and effective fat burner that can help take you from “kind of ripped” to “downright shredded”. With a potent selection of thermogenic agents and metabolism boosting compounds, VS-8 assists in shifting stubborn body fat to achieve out-of-this-world leanness.